© 2012International Association of Business Communicators. 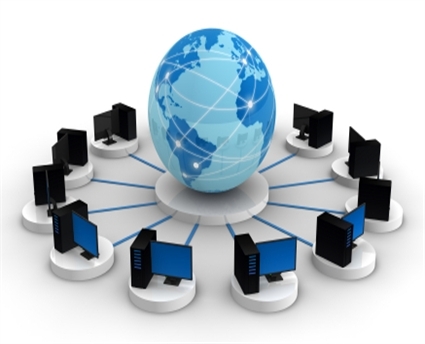 Did you know an Intranet could actually be more global than the Internet? The interactions within an intranet are more intense and frequent, and anonymity is replaced with specificity-your real name, job title and location. Company management often believes that a unified employee communication intranet site will foster a community, a shared corporate culture and a universal standard. But a review of two U.S.-based global intranets (identified here as belonging to Company A and Company B) reveals that today's reality may fall short. Rather than building a global corporate culture, intranets are really exporting the headquarters' corporate culture. Today, the majority of intranets are touting the messages and values of the Internet. headquarters' country and culture. Two of the world's multinational giants, Company A and Company B, both based in the U.S., have intranets that use American metaphors and jargon. Global standards and guidelines for corporate writing are based on American spelling and word usage. A recent article on Company A's intranet page featured an engineer who had completely transitioned from a man to a woman. The article was published online as part of Gay Pride Month. There were references to Company A's Gay, Lesbian, Bisexual and Transgender Employees Association. This may be regular news fodder in some countries, but is certainly a novelty in other locations where Company A operates. The global reaction? Zilch, nada. There are a number of reasons for the lack of response. It may be culturally and professionally better to keep your opinions to yourself. Or perhaps it just doesn't faze most people nowadays who have access to internet's more sizzling offerings. o Global gentility, so long as the information does not directly affect the professional, personal life or patriotic feelings of the employee. Go ahead, be daring in your intranet communications (with the consent of the subject; after all an intranet is not a public news medium). Practice an informal way of dealing with hierarchy and showcase egalitarianism. You can hardly go wrong. If you do, corrections can be made in a second, and this is globally acceptable. One way to internationalize the intranet is to create a regular discussion forum on cross-cultural issues, and eventually, this forum will affect the editorial and chat guidelines. Intranets develop company collaboration, not communities. I recently interviewed a Company B employee and asked him to describe the intranet community he is involved in. He emphasized the heavy usage of real-time online chats and e-mails. One of the company's requirements for usage is that the individual posting a message must be able to write in English, not fluently, but cogently. To do so, Company B offers English language classes on its sites. Online discourse is divided based on English fluency, resulting in inequitable participation. What Company B employee calls an intranet community is really a virtual office information exchange (be it one-on-one or a group effort) that resolves technical issues. What is paramount to Company B's intranet consultations is arriving at a solution and ultimately the preservation of the individual and team's relevance within the organization. An intranet can create an online community similar to that of a real office: The whole staff will bond and be looking out for the interests of others. As one intranet user remarked, "It's all business communications. Community? I guess it depends on your definition." If you adopt the philosophy that an intranet is a business communication tool with human-interest stories, then you will be on your way to intranet success. Intranets often present confusing, if not embarrassing, presentations and checks and balances. Use standardizations to overcome differences in data format and wording. The presentation of information is a major concern with global intranets. Let's start with the issue of names. In Mexico, the maternal name is placed last and one's paternal last name is positioned in the middle. Hence, Anita Charisma Bermudez of Mexico will actually be listed as Anita Bermudez Charisma in the Philippines. My Chinese colleague signs his name as Wang Hua. Initially, Iwas calling him Wang. It turns that out his first name was Hua. So should a letter be addressed to Mr. Wang or Mr. Hua? Companies should clearly present this information on their online systems, perhaps by suggesting the correct means of address. An English colleague of mine had a perplexing time proving his birth date to his U.S. counterpart. The U.S. is based on month/day/year system while European convention is day/month/year. His British documentation indicates 05/04/64, which didn't match the date he had typed in his U.S. online form, 04/05/64. Sometimes, the exactness of numerical data can be disorienting. Certain countries use dots instead of commas or commas instead of dots. So 31.000 in Brazil is actually 31,000 in the U.S., and 31,000 in South Africa actually means 31.000 in the U.S. Keep these differences in mind when relaying information through your global intranet. Spell check is a useful global tool to ensure consistency by providing you with the options to 'ignore' or 'replace all.' But proceed with caution. Remember Mr. Wang? Well, as a final edit, he decided to spell check an e-mail letter addressed to Trish. He mistakenly replaced all mentions of Trish with the correct spelling Trash and sent the message on its way. This may seem obvious (and funny) to a fluent speaker, but maybe not by someone learning a new language. Fortunately, Trish was professional about the obvious oversight and did not give Mr. Wang a problem. Also, keep in mind that there are three forbidden words in a global intranet: "yesterday,'' "today" and "tomorrow." I think you know why. Company A instructs anyone in its intranet universe to use Pacific Standard Time. You guessed right, Company A is based in California. The examples listed here are but the tip of the iceberg. We have not even touched on word choice, use of humor, formalities, gender differences, imperative vs. polite tones, idioms and slang, etc. However, with ongoing sensitivity training and information dissemination, complexities can be shared and overcome. One can also invest in native-language interfaces and online help desks.